This is my first Diamond Bar Restaurant of the Week. I found this Vietnamese spot on Yelp, where it has strong ratings and lots of ’em. Two friends and I ventured down for dinner on Oscar night. It’s not far from the 57. 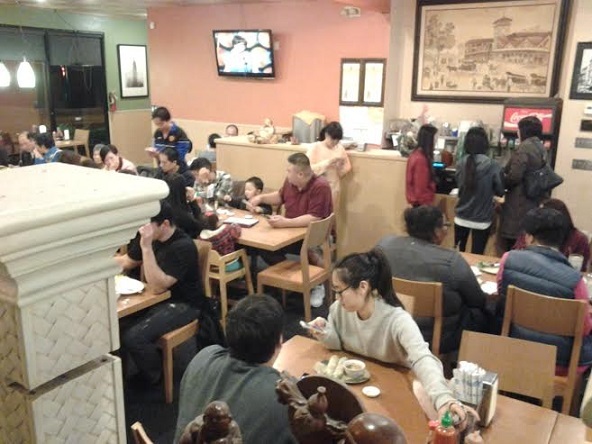 The place was full at 7:30, with a short wait, showing its popularity. We shared an order of spring rolls. One had salmon fried rice (bottom), the other had vegetarian pho and I had beef pho (below). Sorry, the menu isn’t online and I didn’t note any of the prices, but our total was about $25, pretty cheap for dinner for three. 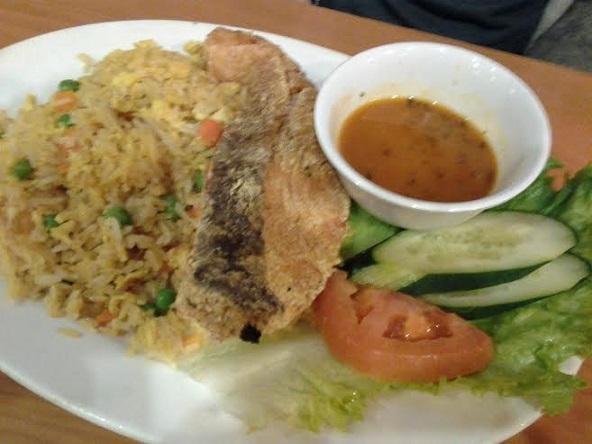 My friends liked the salmon fried rice, which as you can see had a hunk of salmon on it, and they thought the rice was way better than average. 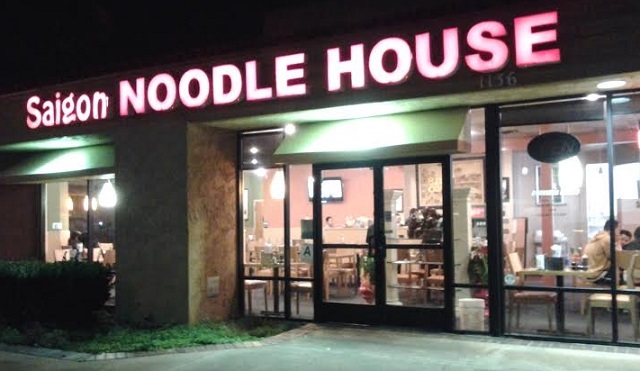 And we liked our pho, which is a noodle soup, if you’re unfamiliar. “It has a lot of MSG in it, which is why it’s so good,” one said. Service was hurried but unexpectedly friendly. 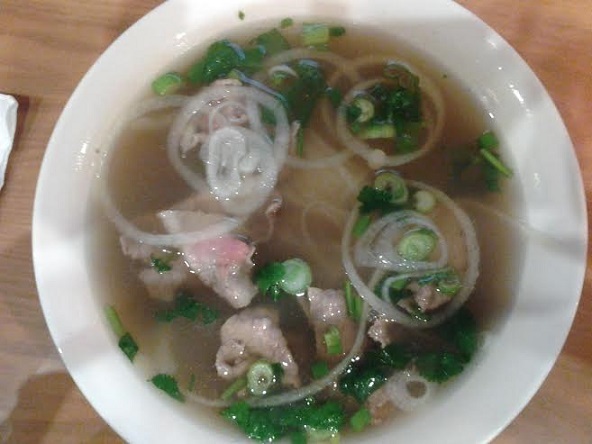 When I ordered the regular pho rather than large, he asked about that, and at first I thought he hadn’t heard me. But no, he was joking about why I was ordering the smaller size. Heh. It was a good choice, being just the right amount for how hungry I was, but I appreciated the playfulness.